Lisa Torres just closed on her brand new home and we're ecstatic to see it. If you follow Lisa Torres you already know how she was able to do this. If you don't follow her (why the heck not?) then we'll give you a not-subtle-at-all hint. This remarkable lady is a go-getter, and provides massive amounts of value to the community. This is a marketer who stuck it out through nearly 2 decades of struggling to get this thing down. While most people quit, she KNEW there was a way and found it! And then she exploded!! You'll want to see this incredible house that she now gets to call home in the posts below! Lisa Thompson is definitely someone to emulate! 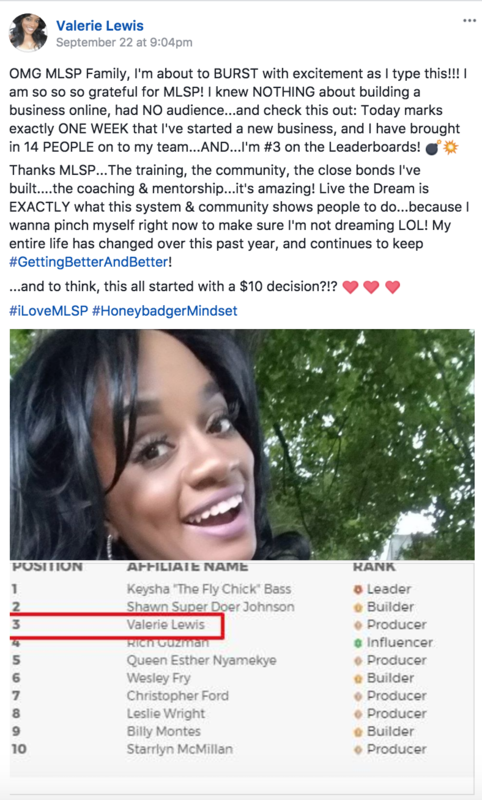 This amazing woman is the poster child for relentess hard work, and consistent VALUE into the network marketing community! 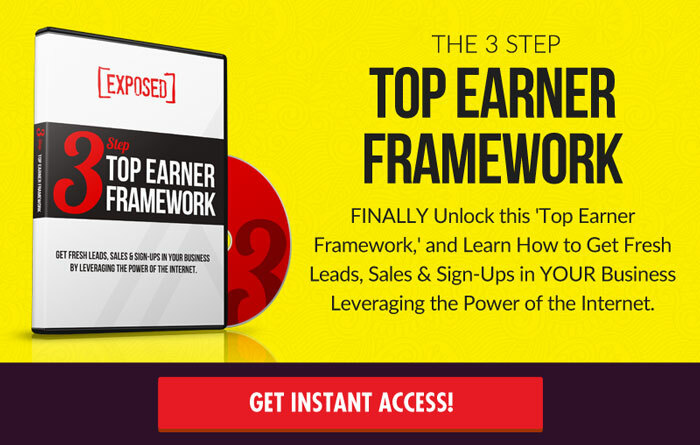 Since starting her blog two years ago she has been consistently serving her target market. She's proof of what happens when you add non-stop value. Great job once again Lisa! 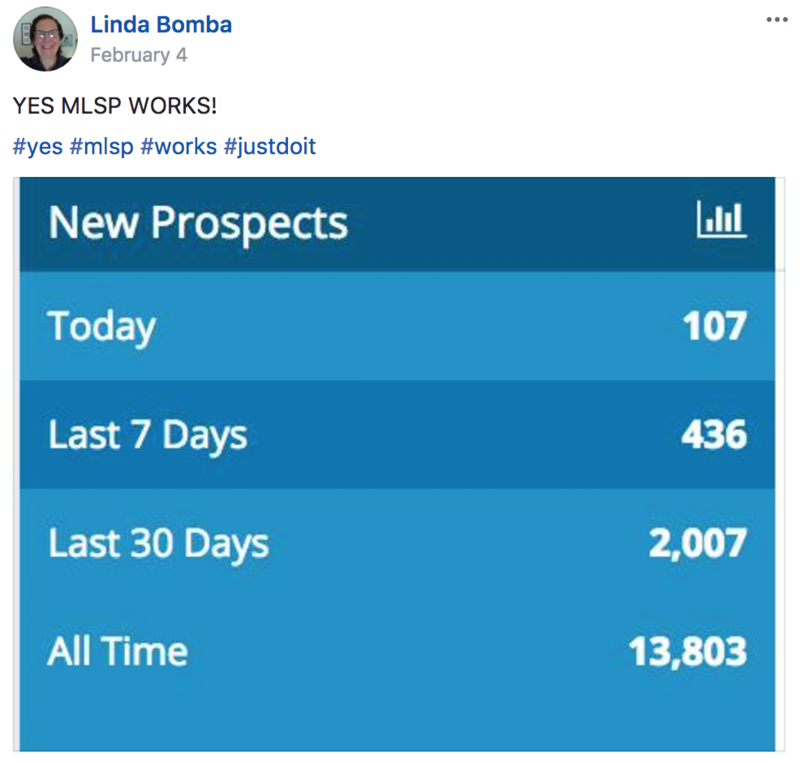 She Got 107 New Prospect in One Day! That's not to mention that she pulled in 436 in the last 7 days, and a whopping 2,007 in the past 30 days! Boom! Linda Bomba is on fire, and has been for quite some time! 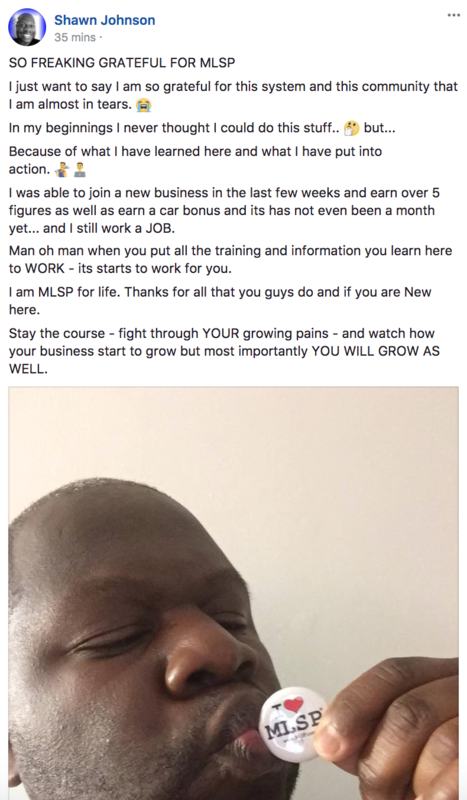 Timothy Paul Metevier received a nice shout out this week inside the Private Members ONlY MLSP Facebook group. Miguel Fuentes pointed this awesome accomplishment out to us and we're so glad he did! This is why we do we what we do. Great job Valerie! This girl is on FIRE!! 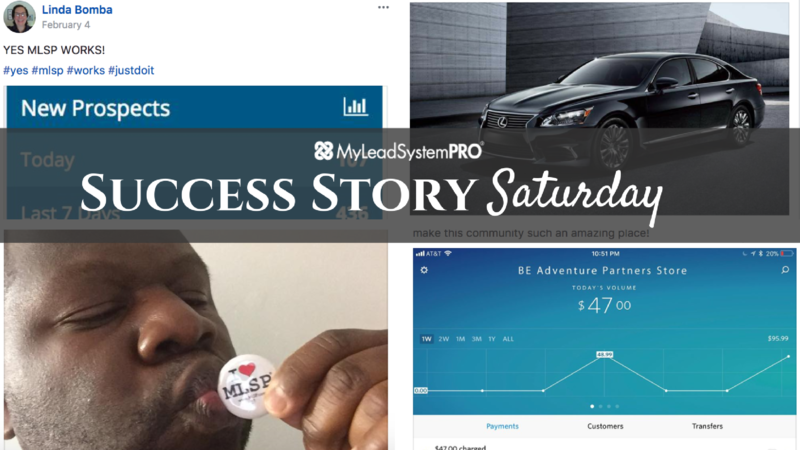 “We Made Our First Sale on Our Product Launch!! MLSP Works!! 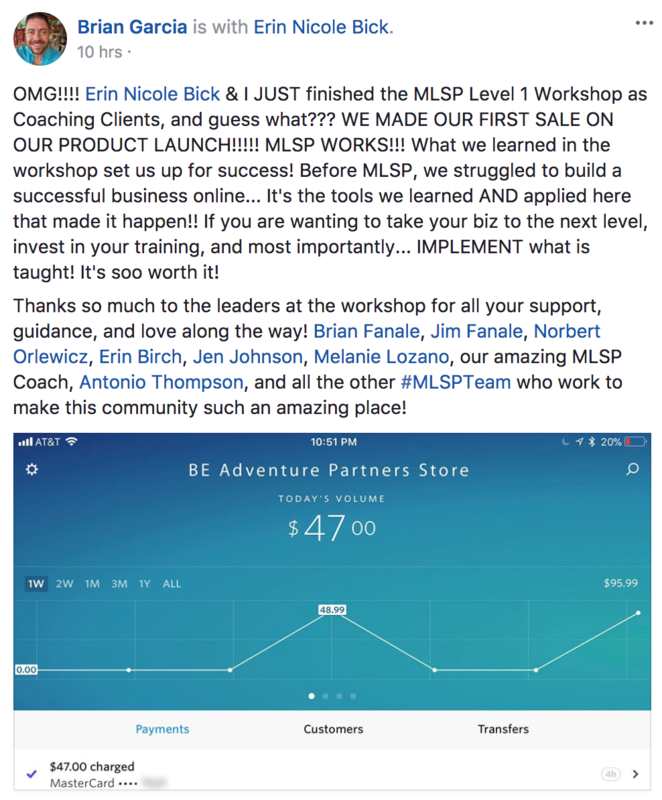 The ‘Adventure Partners' Brian Garcia and Erin Nicole Bick just got back from a weekend at the MLSP Level 1 Workshop that just happened, and they've already made a sale from the stuff they learned. This happened not just because of the workshop, but because they took action on what they'd learned there, just like they've been taking action on what they've learned at MLSP! Right on guys! Killin' it!! How cool is that? 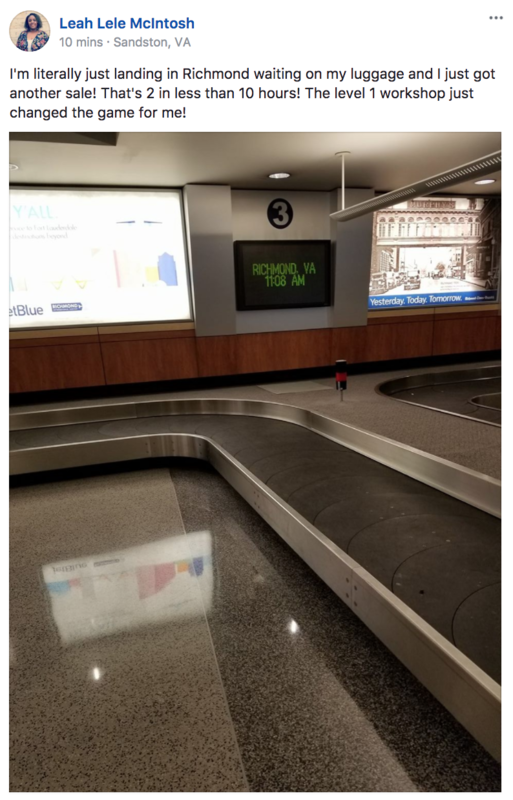 Just got back, waiting for her luggage, and sales a dinging in! That's the way it's supposed to be, and when you start doing what's taught at MLSP it's what starts happening! 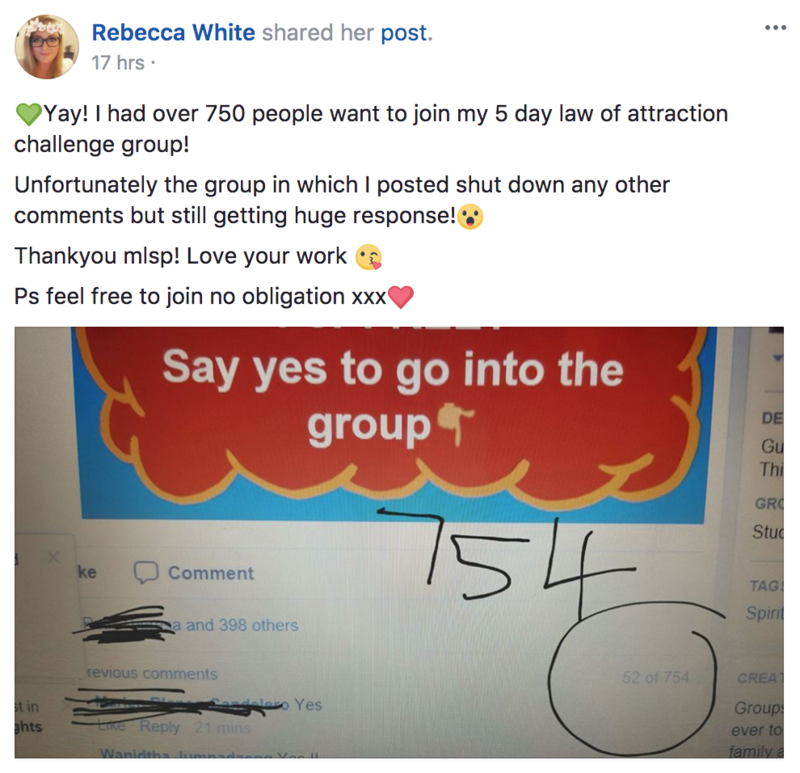 Rebecca White is smashing it out of the park with her latest Facebook challenge. 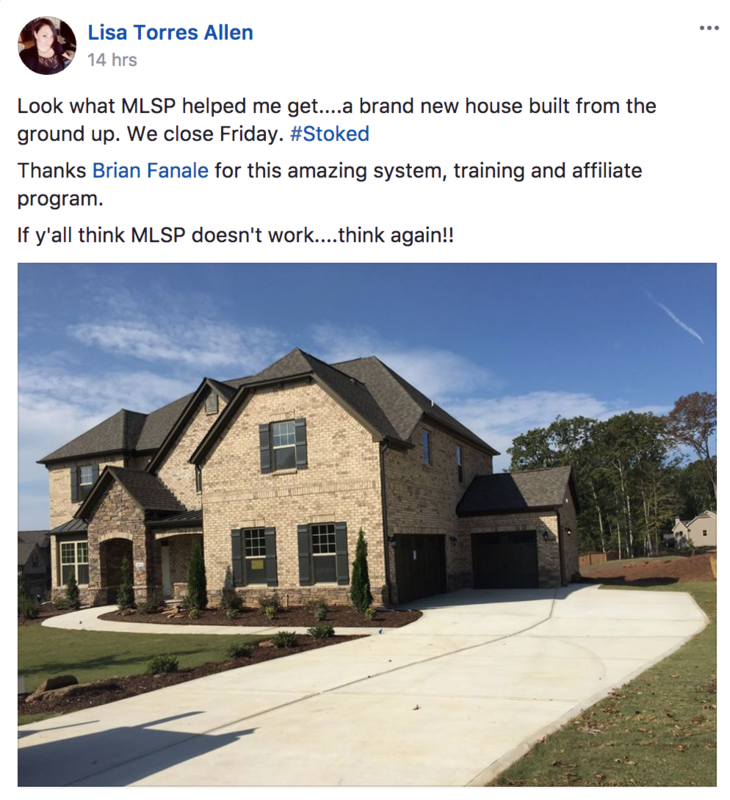 She's taking this concept, adding it to her social media marketing strategy, and runnin' with it, and looks like things are certainly going her way! Sheesh! Shawn Johnson is not messing around here. The cool part is that he still works at his JOB. Bet all this success makes that job a lot easier to bear every day. Read those words again and again until it sinks in! BOOM! 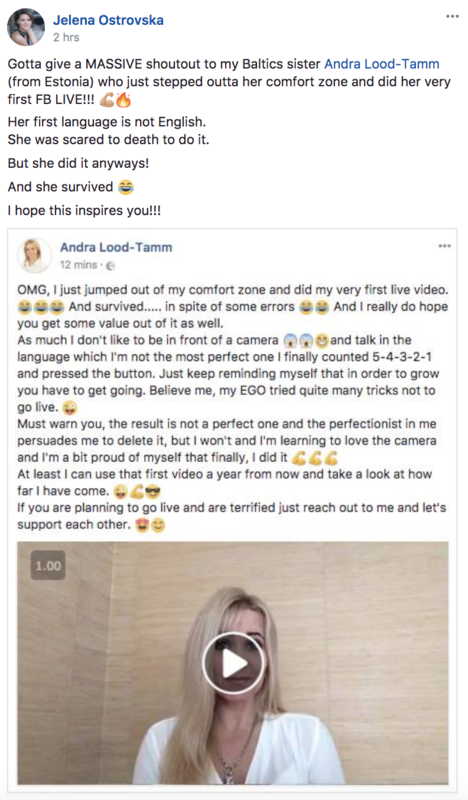 We hope Andra Lood-Tamm is as proud of herself as we are! She did what most people won't do, which is feel the fear and do it anyway. Amazing and inspiring to so many people in our community! 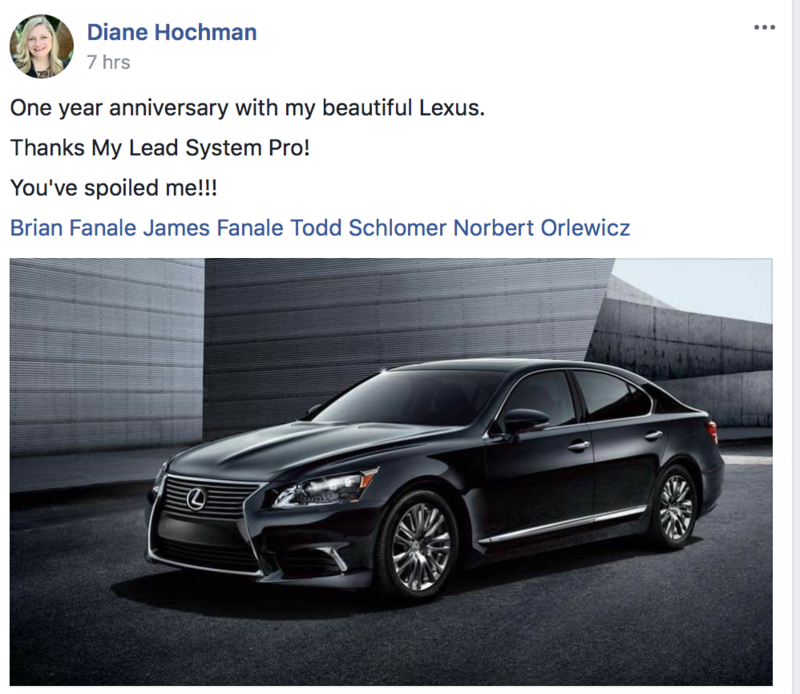 Diane Hochman is celebrating 1 year with the Lexus she won from MLSP! She thanks us for spoiling her, but we thank her for spoiling not only us, but our members, and the industry as a whole with the value she brings. Happy Anniversary, Diane! Hope you're enjoying the ride. Very inspirational post. Congrats to everyone making strides in their business!